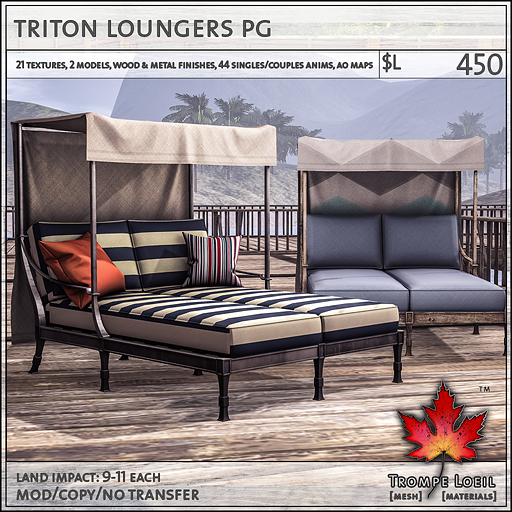 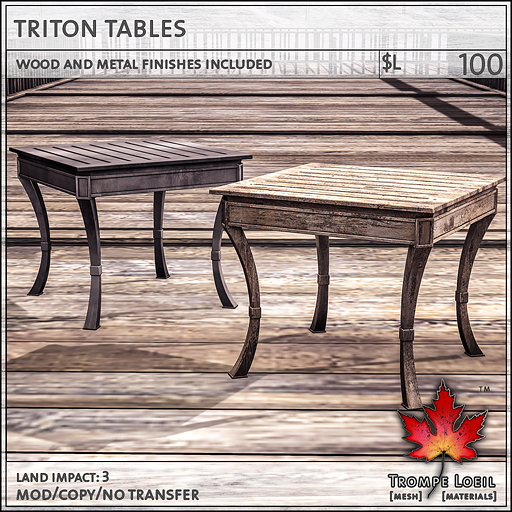 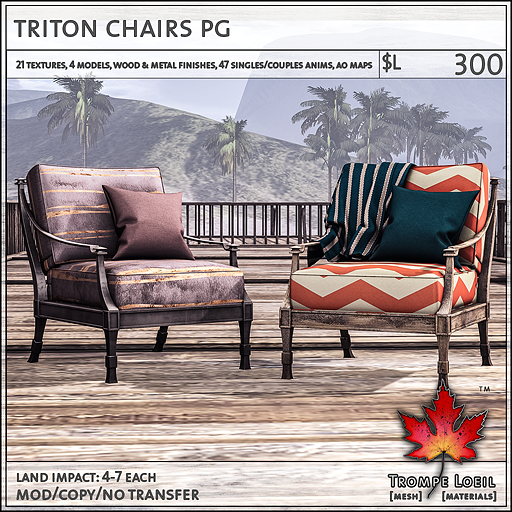 Add a touch of class to your sun-filled afternoons with our Triton Deck Set, only at FaMESHed’s June round! 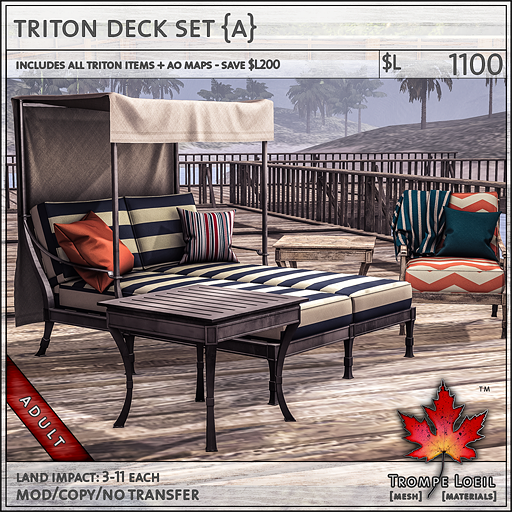 Our Triton Deck Set includes three stylish pieces – the Triton Chair includes 4 models with blanket and pillow variations, the Triton Lounger seats 2 with tons of single and couples animations, and the matching Triton Table finishes the look. 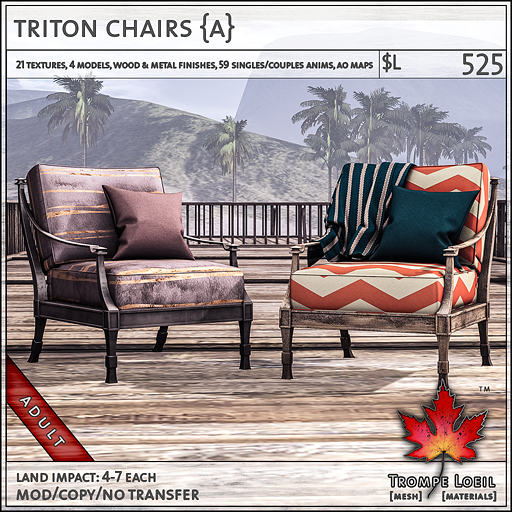 Chair and Lounger include 21 fun texture options and free AO maps for making your own customized look! 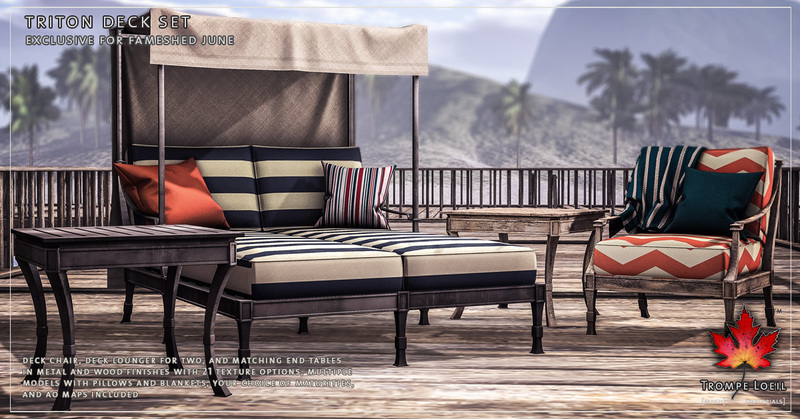 Check them out at FaMESHed’s June round!